What is coming now is an Enya round body Soprano model number EUR-X1, and the reason for inviting this is because I have heard that Enya are quite good. 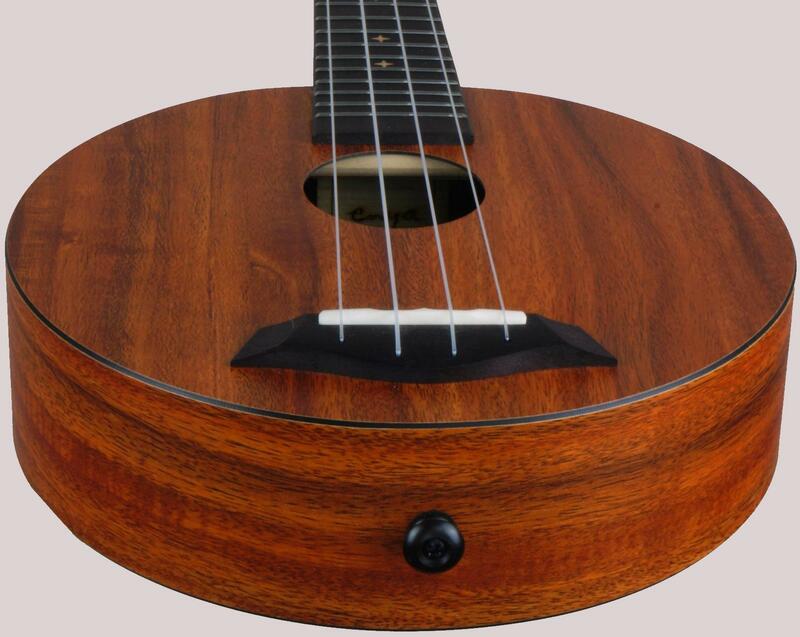 I know that the same firm also makes Kakas and I have already invited a couple of them to Ukulele Corner, but Enya are suppose to be the firms top quality brand. I am also interested because it's a little different; well ok the round body style is not that different but I have not seen this particular model before. And of course it was going cheap! And no-one else bid on it? It's here now and there is some quality about it. It's all nicely put together and it has the best open gear tuners I think I have ever seen, but its not spectacularly great. Well it is fairly basic in its looks and also I am a bit down on it because of the design. The bridge and saddle are to low down on the body, making it very difficult to play without muffling the strings with your strumming arm. It is also very quiet even when you do get it to play properly and it has Aquila Nyguts on so I don't thing a different set of strings will make a difference? What I have found though is that tonaly it sounds better with a D tuning but I still don't think I will look it out to play very often.